Different investors want different things from their money – but all investors have one thing in common; they are all looking for their money to grow. Investors will differ in the level of risk that they are willing to take on in order to achieve greater returns – some people will want to be completely sure they will get back all of their original investment, others will be more comfortable with taking on different levels of risk. What a Capital Secure investor is looking for, above all else, is that their investment is worth at least as much at a fixed point in the future as it was when they first invested it. In order to ensure that investors’ money is safe, a guaranteed or secure fund invests in a greater level of less risky assets. 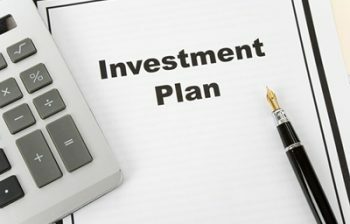 It is very important for capital secure investors to know that the type of assets invested in to secure their original investment tend to deliver a lower return. This is because of their less risky nature. For investors, this means there is a risk that if inflation reaches high levels, there is a chance it could exceed the return generated on their investment. It is also important for capital secure investors to know that the guarantee or promise usually has some conditions attached i.e. it applies at the end of a defined term during which they may not be allowed to make any withdrawals and that by making withdrawals investors may loose the guarantee/promise or incur early encashment penalties. A Growth investor is aware of the potential risk that inflation poses to the value of their money and is therefore prepared to accept the greater risksassociated with investing in equities, bonds and property to earn potentially greater returns. Growth investors are also aware that the value of their investment may fluctuate over time, and that it may even fall below the amount originally invested but they are prepared to take this risk in the hope of greater returns. As an Active Growth / Sectoral investor, you want a level of potential returns that is significantly higher than deposits and inflation and you are willing to invest in potentially riskier assets to achieve this. Funds suitable for these types of investors tend to concentrate on a specific investment type, such as a single type of asset, geographical region or stockmarket index, with the aim of delivering higher returns. This allows investors the opportunity to use their knowledge of asset classes and market trends to invest in areas, which offer good prospects for growth in their view. If you invest in an active growth fund, you stand to benefit more if this investment type performs well, but you are similarly exposed to a higher risk of loss if this investment does badly. Due to the nature of these funds – concentrating in particular assets or areas – they are likely to fluctuate more than other funds, potentially resulting in higher losses than other more “cautious” funds. Geared Investors have a lot in common with Active Growth investors – they want a level of potential returns that is significantly higher than deposits and inflation, and are willing to invest in potentially riskier assets to achieve this. The difference is that Geared investors are also prepared to incorporate an element of borrowing or gearing in their investment. What gearing means is that some or all of an investors’ capital is matched by a loan, which is also invested in a fund to boost potential returns. If the assets in the fund perform well, the value of the amount borrowed will also grow and the extra growth is shared among investors. Investors should be aware that borrowing will also increase the amount of any losses incurred and in extreme circumstances; they may lose their entire investment. Withdrawals, within a specified period, may also be restricted. Borrowing is on a non-recourse basis, which means that investors will not be personally liable for any loan repayments. Money Plus provides a specialised service to individuals and companies. The Financial Brokers at Money Plus have the experience and expertise to advise clients on how to meet investment objectives by employing sound wealth planning strategies that are designed to preserve and grow clients’ assets. Money Plus aims to build a relationship founded on trust and confidence in our ability to deliver a level of performance and service that is driven by your needs rather than by our products.